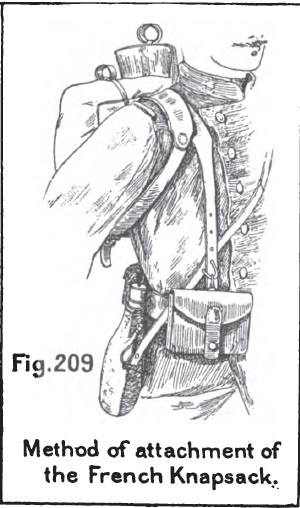 I’ve always found the French Infantry rucksack/backpack/knapsack, or often just called disparagingly “Le Sac” by Legionnaires, to be an object of amazement and amusement. 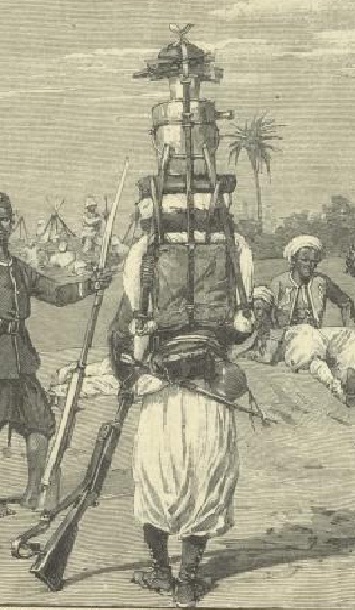 In many pictures it is stacked ridiculously high with cooking pots and utensils, firewood, tent poles, boots and extra uniforms (see the first three pictures below). 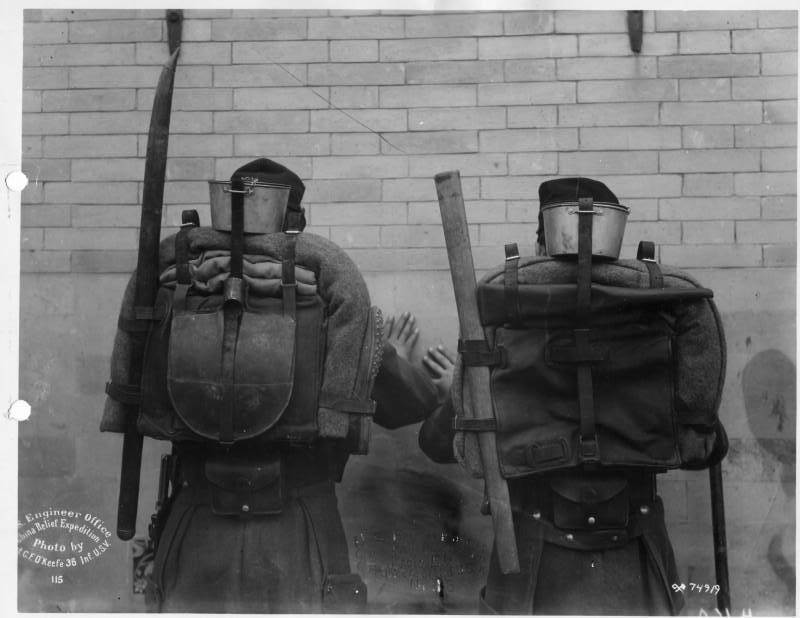 It is often described in Legion memoirs as being punishingly heavy–often exceeding 80-100 lbs. 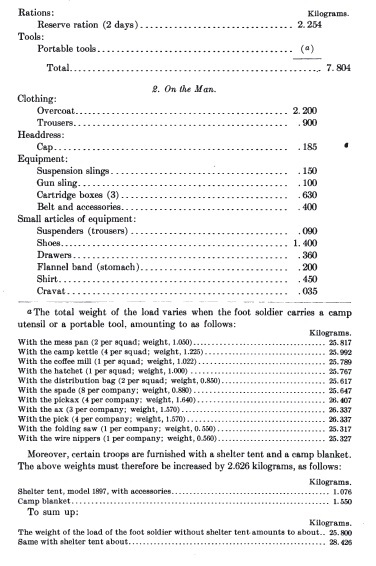 This came from the extra rations, 400 rounds of ammunition for the Lebel (120 Basic Load and extra) and squad and platoon equipment that was divided up between the individual marchers. (See pictures 4 & 5). 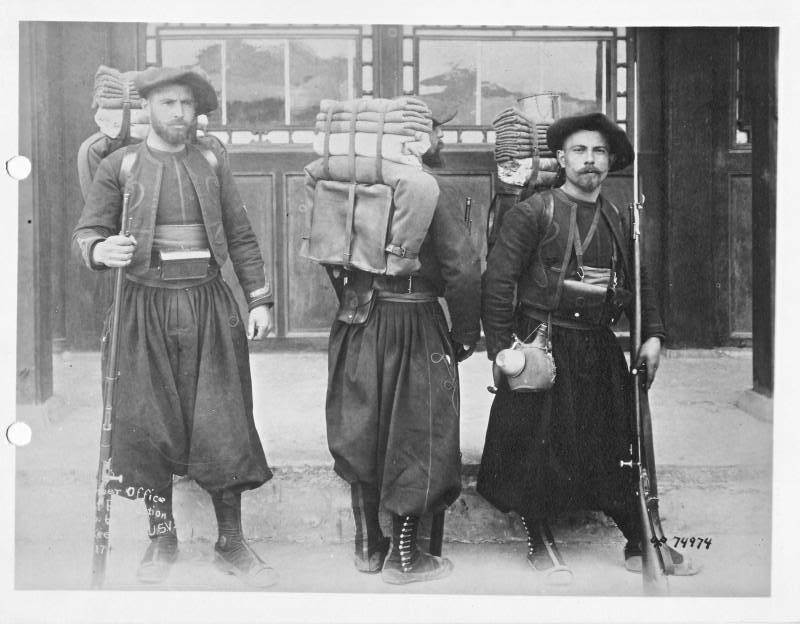 The four black and white photographs, taken shortly after the Boxer Rebellion (1898 to 1901), do a good job of depicting the standard règlement backpack configuration for French Infantry and Zouaves. 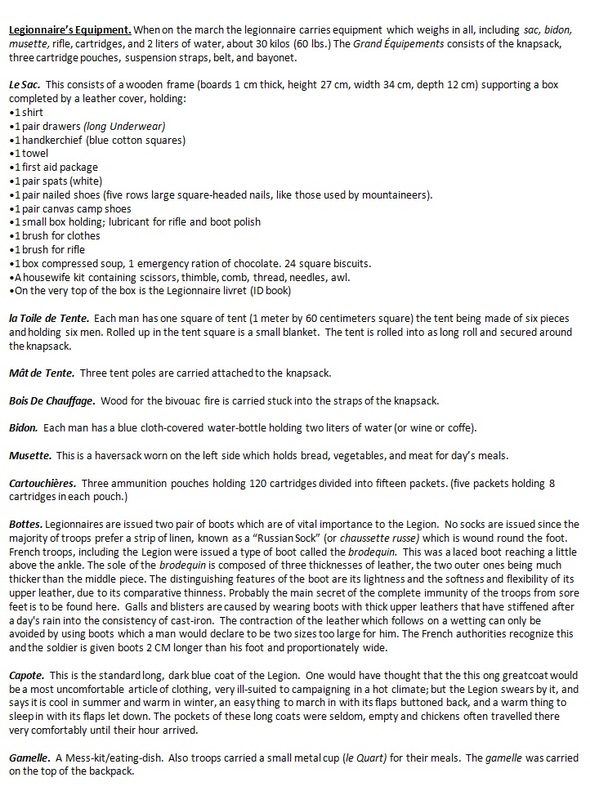 I also came across two good descriptions of Le Sac. 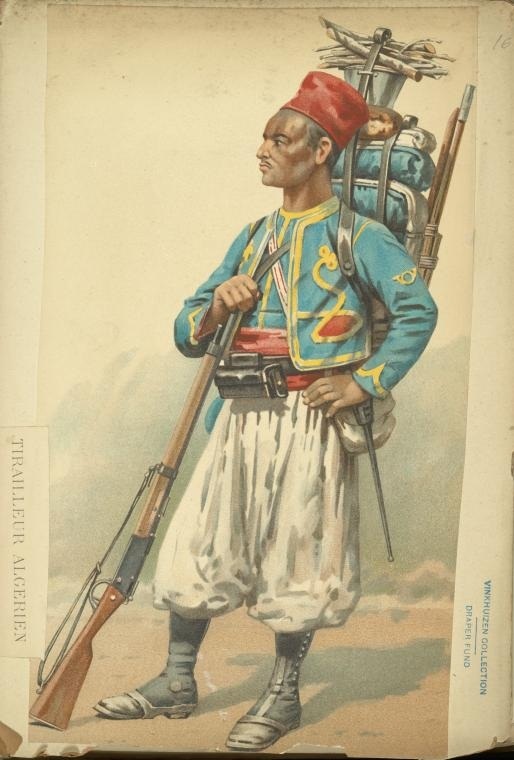 The first is from Reginald Rankin in his book “In Morocco with General D’Amade” (see the detailed lists) that describes the backpack used by most of the French Forces involved in the Moroccan Intervention of 1907 (link). 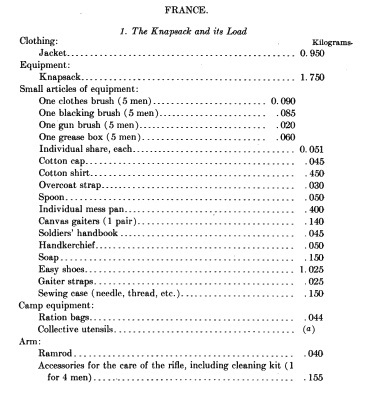 The other document, Field Equipment of the Foot Soldier, is from 1906 and examines in minute detail the field equipment in use by various Armies at the time (link). 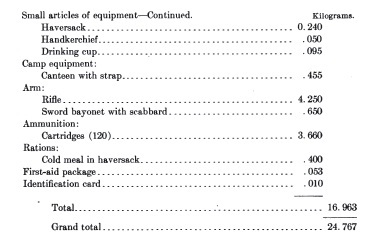 It details the French backpack by weight (itemized) and the grand total of the basic set up came out to about 57 lbs (or 24.767 Kilos). 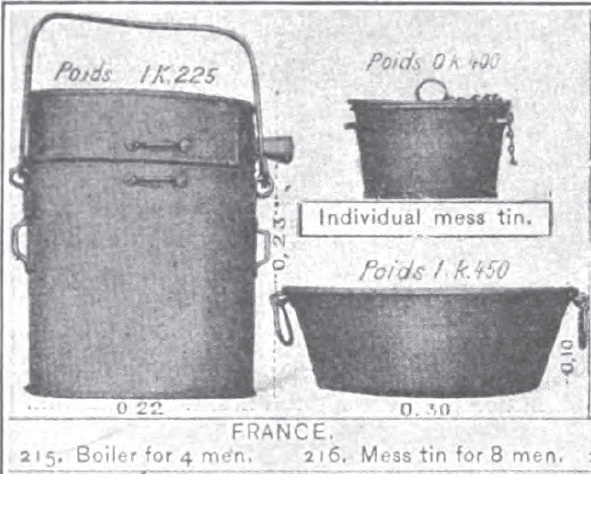 I’ve also included a couple of pictures that depict some of the French Field Equipment that would have been common to the Legionnaires. 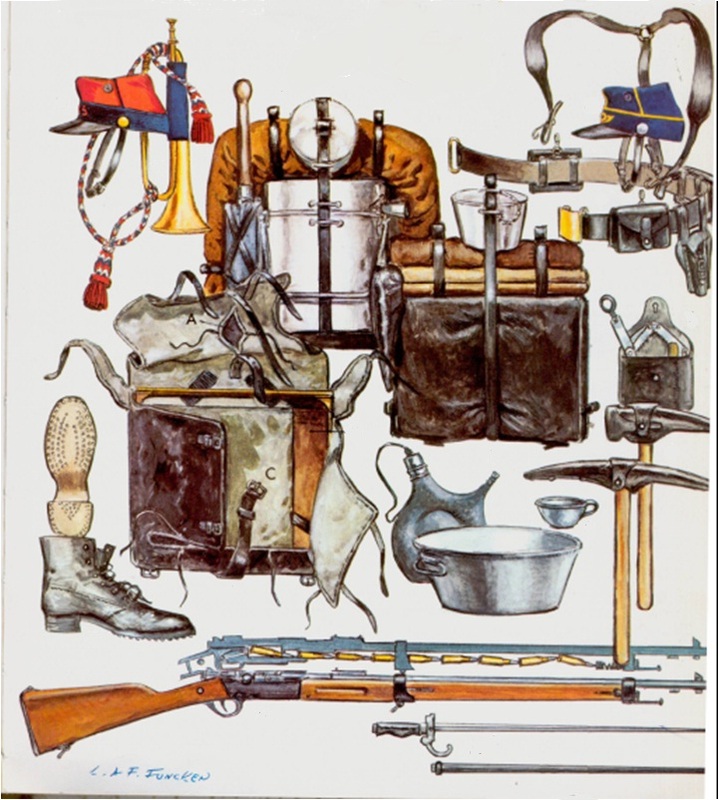 It should be noted that the Legionnaires were instructed to arrange their personal kit while in the barracks into a tightly folded stack of items known as the paquetage (package). They would spend hours neatly folding each item to exact measurements and arranged the in the standard order on a shelf above their bed. 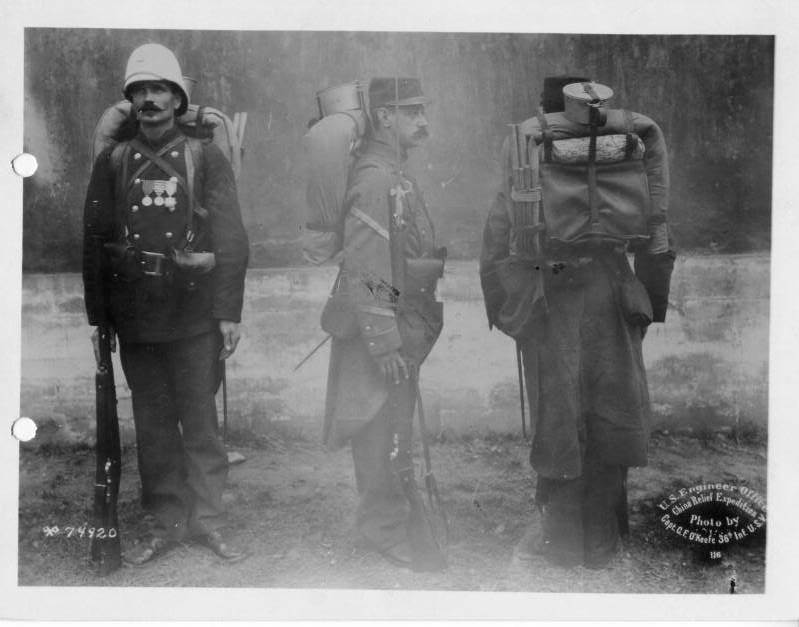 When alerted and called out to the parade ground in tenue de campagne in the middle of the night the paquetage will fit perfectly into the backpack in the wink of an eye. 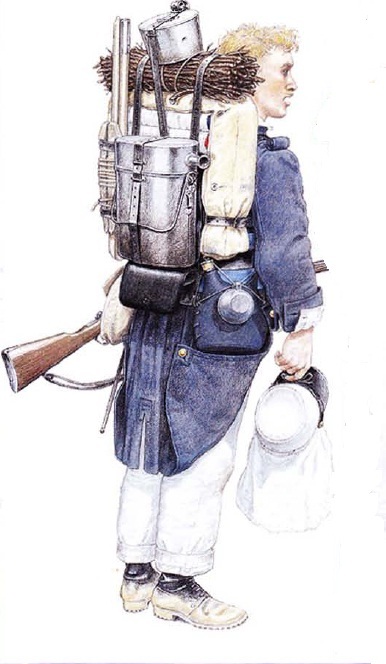 The French backpack must have been one very painful instrument of torture when worn on 30 mile forced marches in the North African Desert. 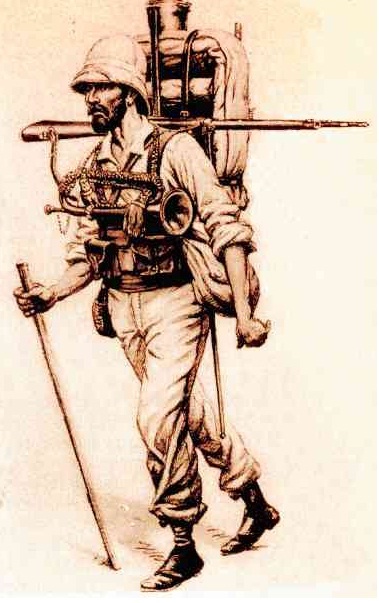 These epic foot slogs are often a feature of many memoirs written by former Legionnaires. 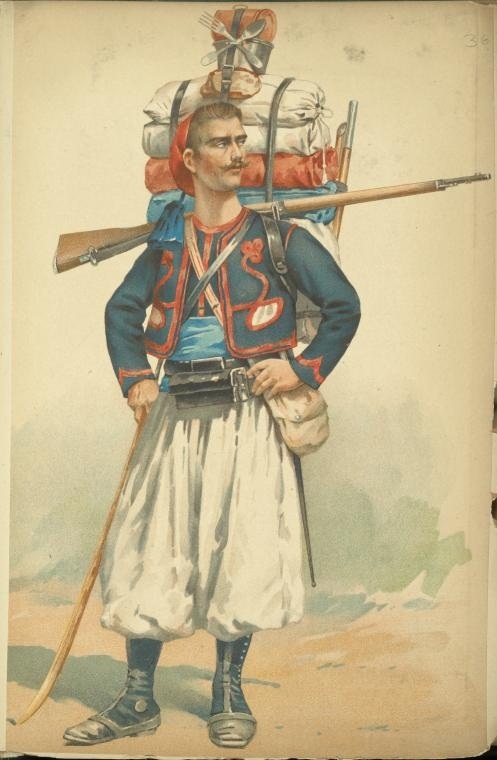 It’s no wonder the phrase “March or Die” was associated with the Legion but is is most likely interpreted as “march with this pack on and you will die in the oven-like heat of the Sahara”. 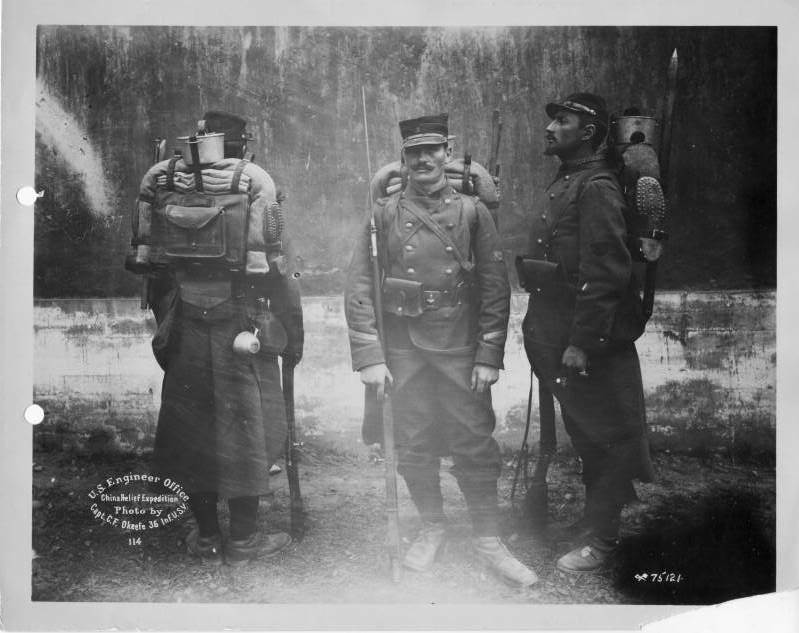 I also noticed in watching some of the old Foreign Legion movies that the back pack was very often close to the real thing. 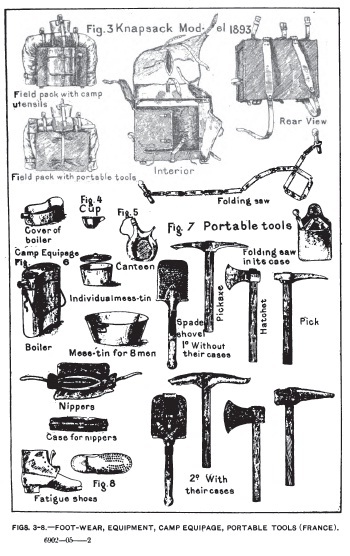 The only oddity I noticed was the type of cooking utensils used. They didn’t really match the French objects. 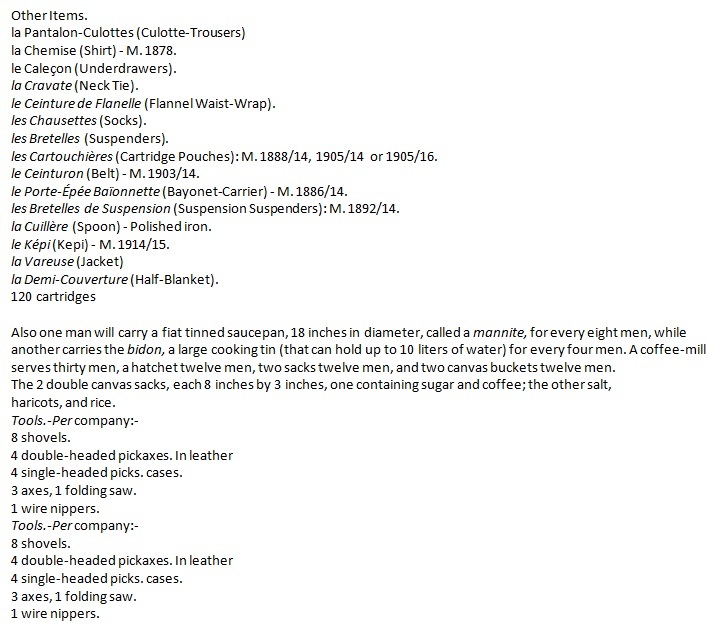 This entry was posted in Equipment, Uniforms. Bookmark the permalink.